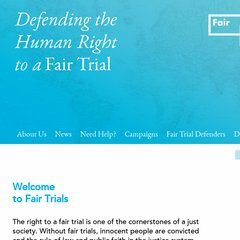 Topics: Fair Trials, Law Degree, Fair Trials Abroad, and Legislation. Its 2 nameservers are ns1.scotwebhost.net, and ns2.scotwebhost.net. Its IP Number is 216.246.28.181. It is hosted by Server Central Network (Illinois, Chicago,) using Apache web server. PING (216.246.28.181) 56(84) bytes of data. Pinging the server, resulted in a 13.8 ms response.